Just a quick update – again. I seem to do a lot of quick updates, I need to get into the practice of updating at least every other day or so. 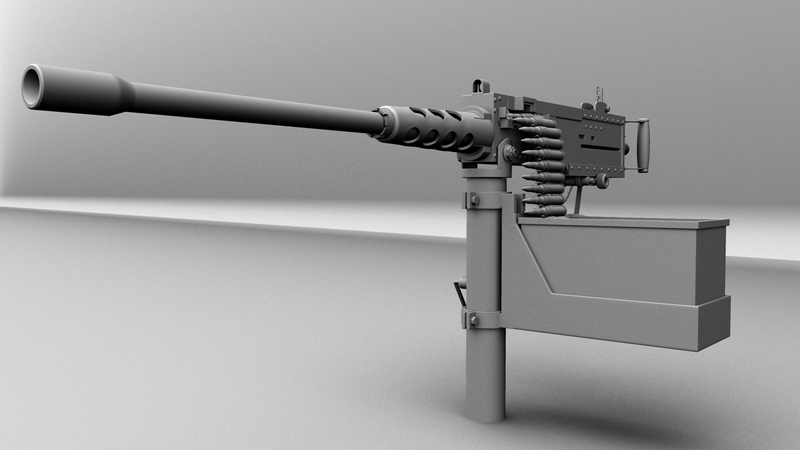 Anywho, I have worked on this M2 ‘ Ma Deuce’ Browning .50 calibre this past week. It is missing a couple of bolts, which I am in the process of rectifying. The only other thing I am not particularly happy with is the trigger section. The ammunition was a bit of a nightmare, I am sure there is a simpler way of doing it. I modelled the shell and link separately, and the I used this script Duplicate Along Path found over at Creative Crash to duplicate the shells and links together – it didn’t seem to work quite how I wanted as I was wanting instanced shells and copies of the links – the links weren’t lining up correctly so had to be individually rotated to match up with the shell. Anyway, I am sure I will figure it out eventually – it was the first time I used the script and found it to be a great help!! 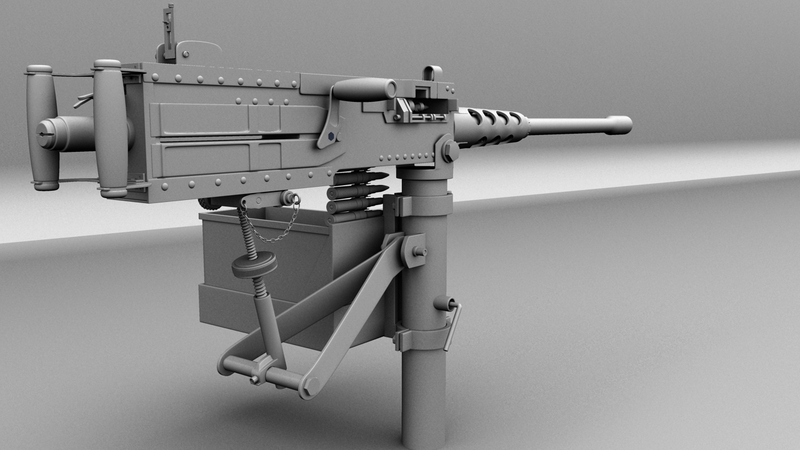 Added the gun to my model library and shall add it onto to my Land Rover Pink Panther at a later stage.